It's clever how Google put those 'contextual' ads next to blogs, photos and videos on websites. You may see some in the narrow column on the right of this blog page. Usually they are very well targeted - on this blog, for instance, I often see ads for shooting grounds, Fieldsportschannel.tv, the Countryside Alliance etc. Things have certainly moved on from the days when any mention of the word 'gun' brought a rash of ads about survivalist groups and self-defence classes in New York. Just now and again they get it wrong though. Today I went to see Mark Gilchrist to take some photos for his next article - we're featuring a delicious dish of rabbit cooked in a creamy cider sauce. 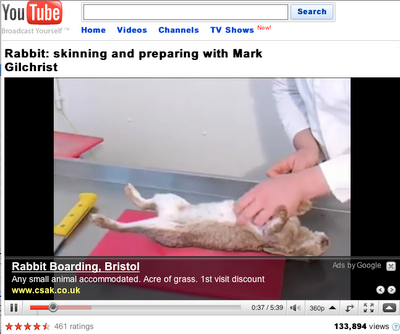 I went back to look at an old Youtube clip where Mark explains how to skin and prepare a rabbit - and up popped this ad for a rabbit boarding kennels. Sorry guys, this rabbit won't be needing to board anywhere, even with the tempting offer of an introductory discount! We've had some heavy stuff on this blog lately, so some light relief is long overdue. "Our bog was blocked over the weekend so I said to [partner] she must have dumped something huge. So it went on until today when I took the whole thing apart. R's toy came first followed by gallons of sh*te. R must have put the toy down the loo. Three showers later I still stink!" 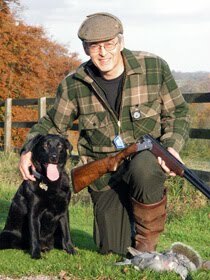 Defra are setting up a "Lead ammunition advisory group" which will be chaired by John Swift of BASC. Defra will provide a secretariat (whatever that means), but the group will, it seems, consist of a whole lot of 'stakeholders' representing shooting, conservation, the gun trade, animal welfare, food health & hygiene, etc. All of which, to me, sounds like a talking shop for a bunch of turkeys to discuss the Christmas decorations. The press release omits to mention whether Swift and/or others will be paid for serving on the group. There's no doubt that Swift has a good grasp of the language required for this sort of thing. Here's a sample: "The group is tasked with identifying any significant threats as well as any perceived threats that are not significant. The group is to advise on options for managing any risks, knowledge gaps and communication issues. It is essential that the sub-groups are as inclusive as possible and balanced and fair in their investigations and findings. At the end of the first year a written progress report will be submitted to Defra and FSA. Our scope is limited to England but the devolved administrations will be kept informed and FSA has a UK-wide remit." Most of the wildfowlers I know would respond to questions about lead shot rather more succinctly. And they wouldn't stand any better chance of stopping this runaway train. Fact is, lead shot is on borrowed time. The EU wants to stamp it out. It's already banned in Denmark, Holland, Norway and parts of Belgium. Swift says that "No political party has proposals to further limit the use of lead ammunition". Well they will have, once this advisory group shows them how to do it. UPDATE: Shooters tend to cry "show us the evidence". Don't waste your breath. The CIC (the international organisation that supports the 'sustainable use of wildlife' - ie they're pro-shooting) has already raised the white flag on our behalf. 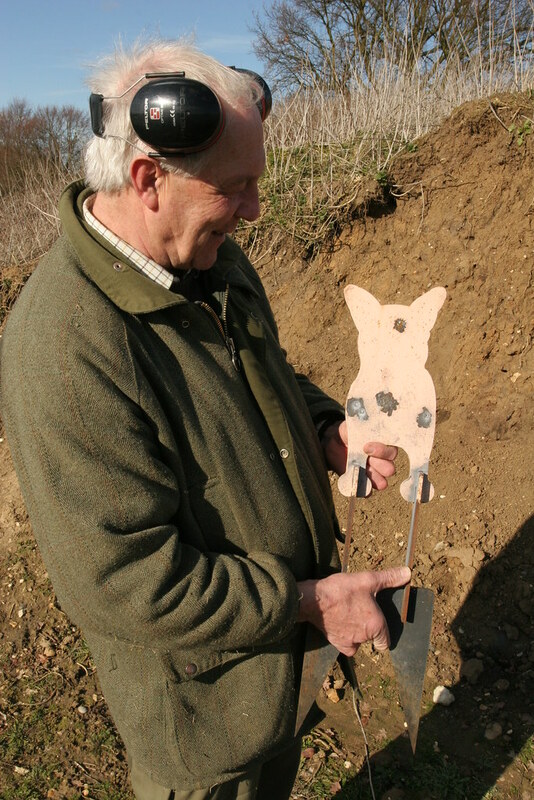 Read their in-depth hatchet job on lead shot here. Indeed, the CIC had a meeting in Rome in February with the World Forum on the Future of Sport Shooting Activities and FACE-EU to discuss the end of lead shot "with the prime objective to protect human as well as environmental health and security". The 3 organisations are now enthusiastically drawing up what they call a "road map" to Non-Toxicsville. FURTHER UPDATE: It seems the Countryside Alliance have no intention of being surrender-monkeys. They tell me the lead shot group has been formed with "undue haste", and say that Defra set the process in motion following pressure from the RSPB and WWT (I hate to say 'I told you so' but...). 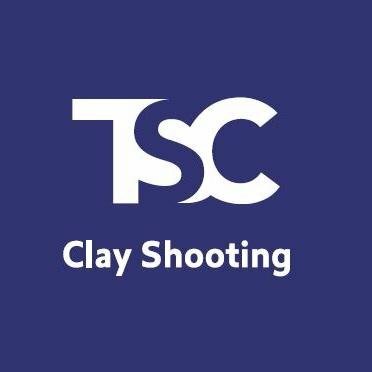 CA head honcho Simon Hart says: "the Alliance has now been invited on to the group and will robustly represent the shooting community. If incontrovertible and peer-reviewed UK evidence of relevant environmental and health problems were to emerge, we would of course all act responsibly in seeking the adoption of high quality non-toxic humane and affordable alternatives. Until such time the status quo should prevail." MIKE YARDLEY COMMENTS: "There is a feeling, justified or not, that some of our representative organisations are rolling over too easily on the issue of lead. The potential banning or further restriction on the use of lead has huge implications for the sport... There is no scientific evidence whatsoever that lead shot harms human health and there is much debate concerning the animal impact too." Just in: Griffiths has been found not guilty of the manslaughter of Trevor Morse. News story here. Simon Hart of the Countryside Alliance comments: "It is for the police to enforce the law of the land, not self-appointed vigilantes. Surely Trevor Morse’s death makes that clear?" Read the full article here. With impeccable taste and timing, Griffiths' colleagues have vowed to continue their "fight" against the Warwickshire Hunt, declaring "the war is far from over." Griffiths has told the Mirror "I've had a lot of sleepless nights. It's something I shall live with for the rest of my life." It can also be disclosed that John Curtin, 47, who was a passenger in the gyrocopter when Mr Morse died, is an animal rights' extremist with a string of convictions. In the transcript of an interview he gave six years ago, Mr Curtin boasted of violence and arson against opponents. He once plotted to dig up the remains of the 10th Duke of Beaufort and send his head to the Princess Royal. Yet the jury at Birmingham crown court heard nothing about Mr Curtin's criminal past when it was ruled, after legal discussions that were not held in front of the jury, that his past record meant he should not give evidence. Time for a rethink on bird of prey poisonings? Figures released today show that poisonings of birds of prey in Scotland have risen again: a total of 22 poisoning incidents recorded in 2009 resulting in 27 dead birds of prey including 19 buzzards, four red kites and two golden eagles. So, what now? We can expect to see the predictable responses from the usual suspects. The RSPB will condemn the awful behaviour of the rogue estates. Gamekeepers' and shooting organisations will distance themselves, saying that poisoning is unacceptable. The police and the odd politician will promise to enforce the law vigorously. Whiny spokeslentils from Animal Aid and Advocates for Animals will bang on about how it just proves shooters are evil and should be consigned to the dustbin of history in a civilised society in the 21st century and did you know spent cartridges actually kill 20 dolphins every day and anyway the world will all die of global warming from cow farts if we don't stop eating meat right this minute. And then it's business as usual, and the killing of birds of prey will go on. Let's ignore the possibility that some of these cases involve sheep farmers dealing with crows and foxes or whatever, and concentrate on grouse moors. Fact is, the keepers do as they're told, directly or indirectly, by their employers - the estate owner, estate manager and, to a degree, the paying guns who they hope will be digging in their pockets at the end of a good day for a generous tip. Apocryphal stories abound of beatkeepers sacked on the spot because a harrier flew over the guns, or a drive was spoiled by an eagle. No doubt there is some truth and some exaggeration in these tales. But faced with that attitude from your employer, wouldn't you do what's required? And if that meant you ran the risk of being caught and prosecuted, well, you'd just make sure you weren't caught. Let's face it, we're talking about gamekeepers doing things on their own ground, which they know like the back of their hand. And don't tell me any old tosh about satellites and CCTV cameras. They're irrelevant in the huge areas of wild country where this sort of thing goes on. A 'bad' keeper would have to be very unlucky, or very careless, or both, to get caught. If they are, the estate can hire another one in a flash, especially in the current climate. The keepers are the victims in all of this. Imagine the stress. And yet all the focus of the RSPB, the police and the rest is on the keepers. That's like trying to wipe out pickpocketing in Dickens's London by chasing Fagin's boys through the streets. If you do catch one, it might make a good headline in the papers, but you're no closer to your objective. So how do we catch Fagin, or at least persuade him to go straight? Ah, well, that's the big question. But these are people for whom grouse are £50 notes on wings. Money is the language they understand, and lots of it. I can see only two routes to making a difference. 1) Pay estates to look after birds of prey, or 2) Convince the owners that if they don't, it'll cost them more than the birds cost them now. Option 2 requires the owners to believe that there's a fair chance of them getting caught, which at the moment they clearly don't. Is either of these options achievable and politically acceptable? Perhaps not, but what's the alternative - other than finding ourselves still wringing our hands over the latest figures in 10 years' time? The jury has retired to consider its verdict, reports the BBC here. Was in court today to hear Judges summing up and self defense was part of her oration, the jury had five questions to consider, a sort of flow chart, 1, if no, Not guilty, if yes goto 2, and again till last one and if that no, not guilty or yes guilty, Jury out at 14:15, sent home 16:15. As for the fear Bryan did impart to the independent witnesses was that he was shot at and was a bit worried when he saw the landrover enter the airfield all this before the incident and the prosecution accept now that Bryan was shot at, as the Police did a reconstruction with their Helicopter and proved that what Bryan said he saw was right, I don't think they did it for Bryan's benefit. As for Violence on Hunts, in my experiance it has always come from the Hunt never the other way round, if anyone can prove it, by showing prosecutions please do, whereas Hunt Supporters have been Prosecuted, also I have seen foxes run through a large flock of sheep and the sheep haven't lifted their heads, but as soon as they hear the dogs, they scatter, so what harms sheep more dogs or foxes and if it wasn't for the sports shooters supporting the hunts the hunts will die. Here's a lovely dog story from Crufts. 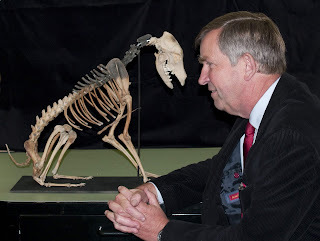 On display at the show was the skeleton of a mongrel. Nicknamed Hatch, she lived on Henry VIII's ship the Mary Rose and perished when the ship sank in 1545 - trapped inside the carpenter's cabin. Historians believe she would have been the ship's official form of pest control - cats were regarded as bad luck on board - and was the only female crew member. John Lippiett, Chief Executive of the Mary Rose Trust, adds: “Expert analysis of Hatch’s bones suggests that she spent most of her short life within the close confines of the ship. It is likely that the longest walks she took were along the quayside at Portsmouth, her home town." The trust hopes to build a new museum where Hatch's skeleton will be displayed alongside some of the other 19,000 treasures from the Mary Rose - many of which have never been seen by the public due to lack of space. The RSPCA Injustic blog reports a parliamentary answer which clarifies the legal position. Fact is, the RSPCA have no right to seize pets. The Parliamentary Under-Secretary of State, Department for Environment, Food and Rural Affairs (Lord Davies of Oldham): Charities have no power under the Animal Welfare Act 2006 to seize pet animals. The power of seizure can be exercised only by a police officer, an officer of a local authority or Animal Health. If the person who was responsible for the animal has concerns regarding its welfare following seizure then it is open to him to apply to the court for an order which could, among other things, grant him custody over the animal. Anyone aggrieved by the removal of an animal under the Animal Welfare Act may appeal to a magistrate's court for its return. The location of a seized animal may be withheld if it is considered that there is a danger that the animal may be stolen back. Charities aren't allowed to tell you which way to vote. The rules say they can't campaign on behalf of one political party or another. 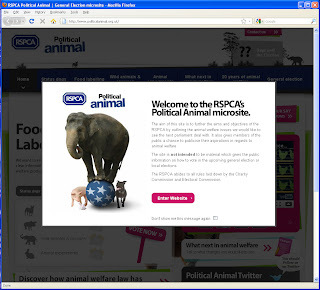 When the RSPCA launches a website called 'Political Animal', and feels the need to put up a splash screen stressing they're not telling you how to vote, they clearly feel they're sailing close to the wind. So, DEFRA has released its Code of Practice for the Welfare of Gamebirds Reared for Sporting Purposes, which is laid before Parliament and will sit for 40 days before coming into effect (not counting days off for the election, recess, etc). Even then it's not 'law' as such - but it will be used as a stick to beat game farms who don't follow the new rules. Basically, BASC won. They got the wording they wanted - indeed it looks like they wrote most of it - and their release today 'welcomes' the new code with its clauses setting out the minimum space per bird in laying cages. They are at pains to point out that "Traditional pheasant laying pens, partridge pair boxes or raised cages can continue to be used if they provide at least the specified minimum spaces per bird." So all is wonderful, no? No. A consortium of other organisations are kicking up one hell of a fuss, because they didn't get their way. "Last Minute Changes Make Gamebird Code an Unworkable Mess" screams the Game Farmers' Association, complaining that changes had been made "in secret" (in collusion with BASC?). The GFA proceeds to attack the new code phrase by phrase, with chairman Jonathan Crow predicting "chaos for the industry". And, hilariously, both LACS and Animal Aid put out triumphant press releases claiming a victory for animal rights. Animal Aid are even suggesting it was all their own work! Meanwhile, in a field in Shootingshire, a pheasant said: "No comment. Now clear off, I've got these hens to see to." Lovely to be out on a glorious early spring day - and no, I wasn't poaching! I'm out with Andy Pye again, this time shooting over maize cover crop. I was taking video, and used this combination of face veil, camo hat and a Jack Pyke leafy camo head veil wrapped around the camera. It meant that I could stand up at the back of the hide, to film the pigeons coming in to the decoys, and Andy popping up to shoot. It worked quite well, too. I got some good footage, and didn't put the birds off. It has emerged in court that Bryan Griffiths had been reprimanded for risky flying while monitoring another hunt just three days before Trevor Morse's death. An instructor had criticised his 'poor attitude' after another incident. Griffiths was also accused of misleading police six times during questioning. More from the Coventry Telegraph here. ...not to mention working on plans for a possible launch of a new magazine, chasing up contributions for the next issue of Sporting Shooter, travelling here and there to take photos, reviewing products, checking page proofs, researching several news stories (including CPSA ex-CEO Phil Boakes: did he jump or was he pushed) and wasting half a day transferring my contact list onto my new mobile phone which should synch with the old one but doesn't. Busy, busy - but all interesting stimulating stuff. And now I learn that my 'editorial workflows' are to be 'reviewed' to ensure that they're being 'resourced, run and managed' in the most efficient way possible. Truly all is for the best in this best of all possible worlds. An extraordinary argument is being put forward by the defence in the trial of Bryan Griffiths. They appear to be saying that Trevor Morse had 'time to move' and chose to stay put. Are they suggesting he wanted to commit suicide? I can't see the argument 'he had time to move' cutting much ice if a car driver were to run down and kill a policeman. Previously Griffiths had complained that Morse had been 'intrusive and aggressive', even going so far as taking photographs of him. Gasp! A bit like the way antis photograph hunt followers day in day out. Sometimes from gyrocopters. Regardless of the outcome of this trial, it's providing a real insight into the minds of these fanatics. Those are the words heard on video moments after Trevor Morse was killed by a gyrocopter piloted by Bryan Griffiths who is on trial at Birmingham Crown Court, charged with 'manslaughter by gross negligence'. The words may prove crucial in determining Griffiths' guilt or innocence. They certainly ring very hollow coming from people who lecture others on callousness and cruelty. More details in the Telegraph's report here. Coverage of the case continues on the Telegraph website today; Julie Sargeant, who travelled to the airfield with Trevor Morse, broke down while giving evidence - she told the court how Morse had stood in front of the gyro as the engine started. The trial begins today (1 March) at Birmingham Crown Court of Bryan Griffiths, charged with killing a hunt supporter who died after being struck by the propeller blades of a gyrocopter. Griffiths denies the manslaughter of Warwickshire Hunt member Trevor Morse on 9 March last year. Previous posts here, here and here. 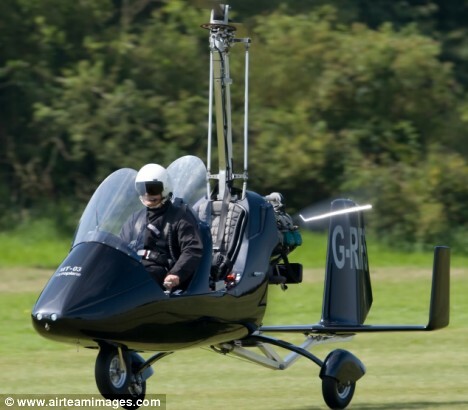 On Monday (1 March) the jury was sworn in, and Griffiths pleaded not guilty to "manslaughter by gross negligence" - by driving towards Trevor Morse "at speed a gyrocopter with an unguarded revolving rear propeller at a time when it was unsafe to do so". More details in the Birmingham Post here. The trial resumes today. Chloe Finch of the Countryside Alliance told Horse & Hound: "We expect both Peter Bunce of the POWA [Protect Our Wild Animals campaign] who filmed the whole incident and convicted animal rights extremist John Curtin, who was Griffiths' co-pilot, to appear as witnesses." Also expected in court are Warwickshire master Antony Spencer and the female hunt supporter who was with Trevor when he was killed. Police are not planning to release the video filmed by Bunce. For more recent updates on this case, use the Bryan Griffiths tag.